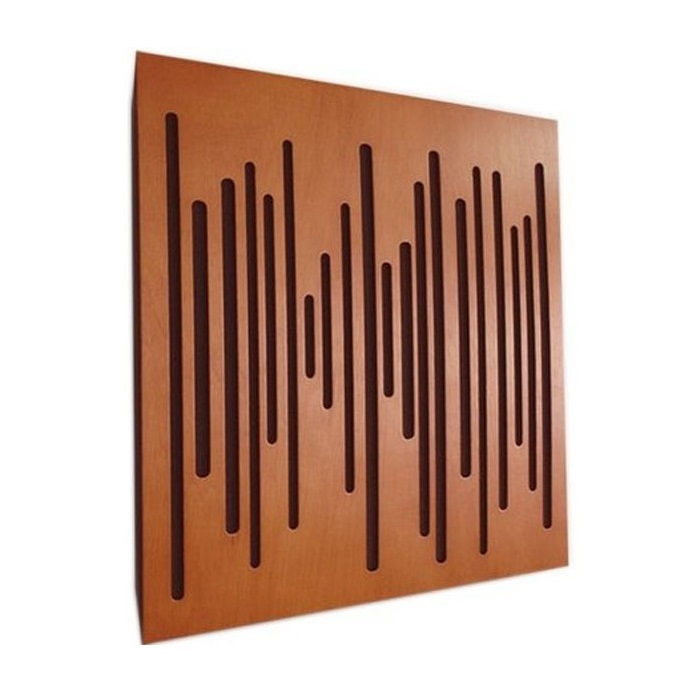 If the gaps vary say 5mm, 10mm, 15mm, 20mm and the wall is angled as shown below, a broad band low mid resonator is created that still keeps the high frequencies alive. Remember the cavity behind must be airtight! By working out the different slat widths and slat gaps you can create a broadband low mid resonator at specific frequencies.